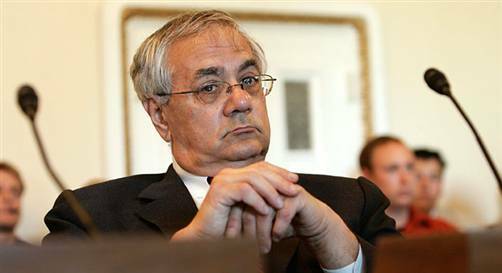 Openly gay Rep. Barney Frank discusses the Mark Foley e-mail scandal and the climate for gay politicians in Washington. NEWSWEEK: As one of the few openly gay politicians in Congress, did you know that Representative Foley was also gay? Barney Frank: It was an open secret in Washington. I personally didn’t have much interaction with him beyond the floor of Congress. Foley wanted to be close to the Tom DeLays and to be an insider Republican. But he did vote better than some closeted politicians—he voted for the Defense of Marriage Act, but against the constitutional amendment on gay marriage. Do you think the House Republican leadership turned a blind eye toward Foley’s behavior involving pages? The hypocrisy of the Republicans is that they have more concern for a gay man who misbehaves than for fair treatment of gays who don’t misbehave. They told him to stop, but I think it was like they didn’t want to know. It was wishful thinking—they were hoping the problem would just go away. Maybe there were gay Republicans who were afraid of what would happen if any of this got attention. Hushing it up was better. What happens now for gays in the Republican Party? Will this scandal affect the outcome of the November election? It’s more like the bale that broke the camel’s back. This type of thing pisses off both the religious fundamentalists as well as the soccer moms. Since it’s an off-year election, I think people will just simply not vote. Republican Rep. Dan Crane and Democratic Rep. Gerry Studds both had sexual scandals with pages—female and male respectively. With this track record, were you that surprised about this scandal? I was personally surprised. We members of Congress don’t have that much face time with pages anyway. Most members don’t pay them a lot of personal attention, and maybe that’s why Foley was popular with the pages. I don’t think this has gotten more attention because it was a boy, although there may be more titillation because of the gay angle. There would probably be just as much uproar if it was an underage female, because of Foley’s work with children. Do you see any correlation between this scandal and your own scandal in 1989? The difference between Foley’s scandal and mine is that mine didn’t involve someone underage, and I wasn’t abusing my power over someone who worked under me. And of course I wasn’t the co-chairman of the House Caucus on Missing and Exploited Children. But since I was in the closet at that time, I understand how I was looking for physical and emotional outlets, maybe how Foley was. Being in the closet doesn’t make you do dumb things, doesn’t justify you doing dumb things, it just makes them likelier. What do you think about President Bush’s reaction through all this? There’s not much he can do. They may be happy to get the attention off the Woodward book for a change. You almost get the feeling that the country under them has turned into a disaster movie.